A new £1 million fund has been released by the UK government to help people from under-represented groups get into digital roles. The Digital Skills Innovation Fund is intended to improve diversity in the digital economy and address local skills challenges. Released by the Department of Media, Culture and Sport (DMCS), the money will provide support for women, disabled people and those from disadvantaged background with aspirations in data analytics, programming, cyber security and software development. The Digital Skills Innovation Fund is now open for bids from Local Enterprise Partnerships (LEPs) and Combined Authorities. Christine Gaskell, chair of the LEP Network, said: “As the rate of technological change and innovation continues, tech is becoming increasingly integrated within every sector and industry. “Any initiative with the aim to make more people tech savvy and to bring more women and young people into the sector to create new start-ups and unearth the next digital superstars has to be welcomed. Bids need to be sent by 28 October 2018. Grants of between £200,000 and £500,000 will be available. 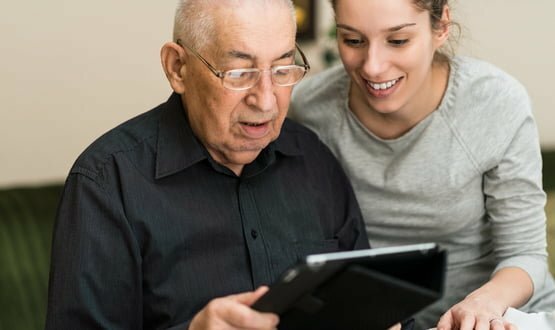 On top of the Digital Skills Fund, an additional £400,000 ‘Digital Inclusion Fund’ will be released in September to help older and disabled people acquire new digital skills. This will be used to provide the teaching of “basic skills” like booking GP appointments online, using apps to communicate with friends and family and using search engines (e.g. Google). John Fisher, chief executive of Citizens Online, added: “We know it’s becoming increasingly important that everybody in our society has the skills and confidence to be online; yet disabled people are four times more likely to lack essential digital skills then the general population and 28% of those over 60 are offline. DMSC minister for digital, Margot James, said: “It is crucial everyone is able to take advantage of digital technology, whether it is to learn how to use the internet or develop the skills to work in a tech role. According to DMCS research, women make up just 17% of the tech workforce and are underrepresented in the uptake of digital qualifications. Speaking to Digital Health News in April, Dr Anne Blackwood, CEO of Health Enterprise East, argued that more needed to be done to support women in the medical technology sector.